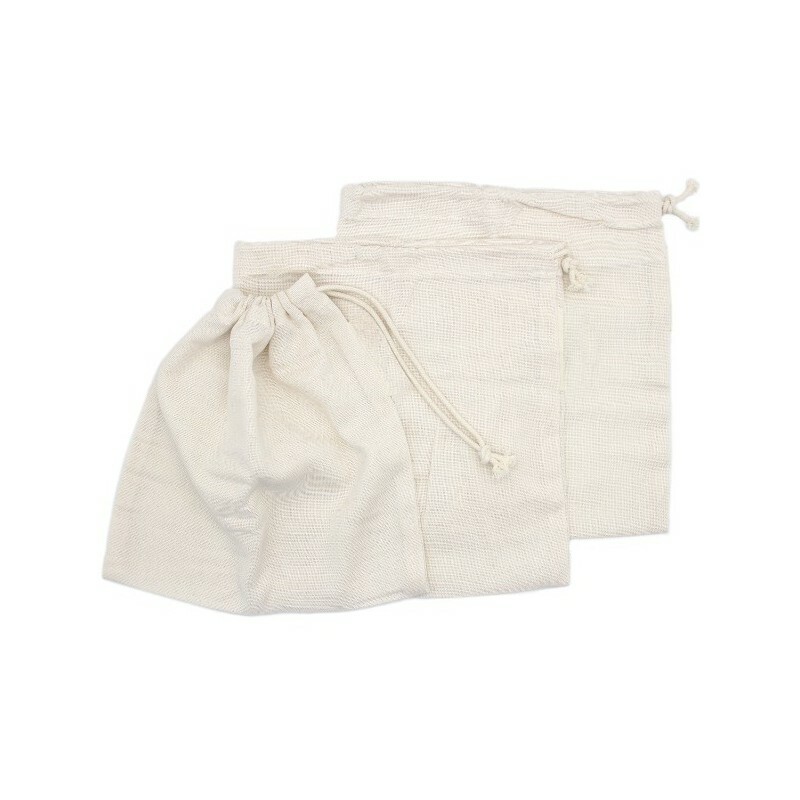 Set of three 100% organic cotton muslin reusable produce bags in small size. Replace single use plastic bags. 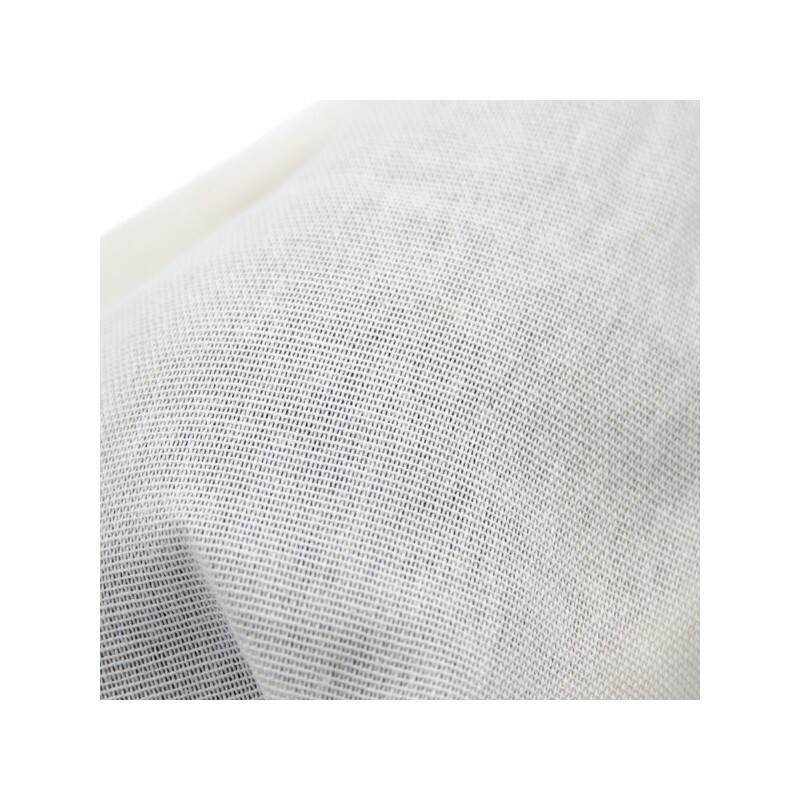 Washable, reusable, sustainable shopping. 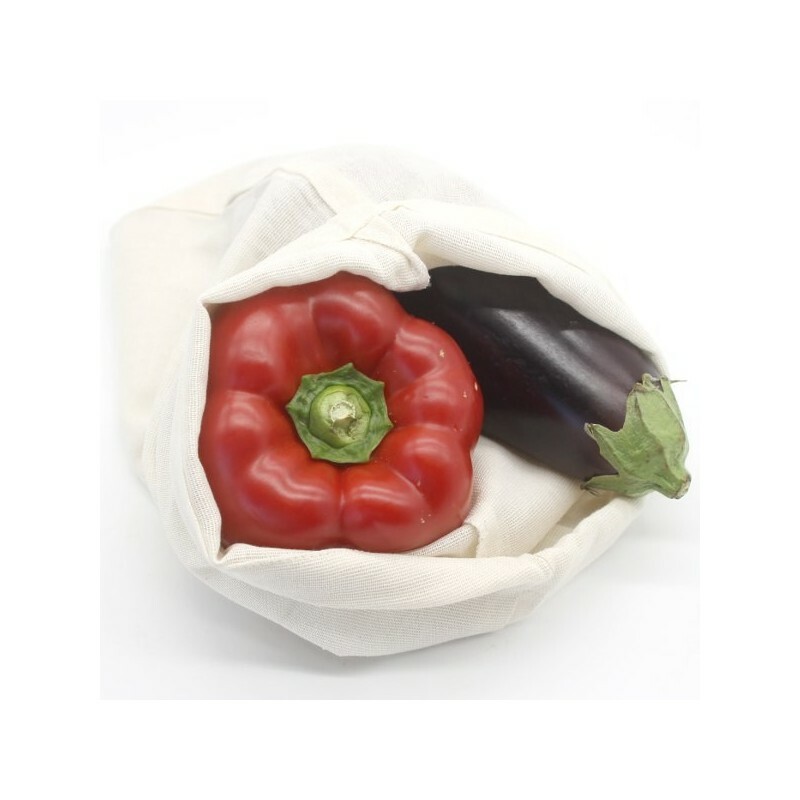 Keeps produce fresher for longer in both pantry and fridge. Suits many other plastic free storage uses for home and travel. I bought these at the same time as some other reusable produce bags. To be honest I have not used these ones while shopping for two main reasons. Firstly, not being transparent, they are more of a hassle when you get to the checkout. Secondly, at almost 30g these are considerably heavier than the other bags, weighing in at well over twice as much as any of the other reusable bags I bought (which were also bigger bags), and being five times or more heavier than a plastic produce bag. Consider this - if you bought an item such as snow peas at say $20/kg, due to that extra weight you’d pay around 50c more for the privilege of using this bag, every time you shopped. Where I have found these good however is for product storage. My carrots now always go in these bags once I get them home, and I have also found them useful so far for storing capsicums and round green beans. 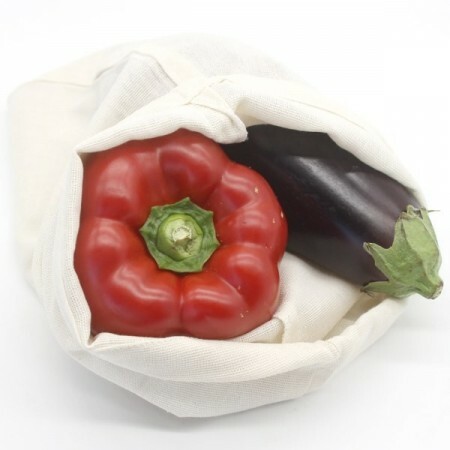 My advice is to get other reusable bags to take to the shops, but these ones are superior for storage of certain produce items. These produce bags are a lifesaver! I love how easy they are to transport and use at the supermarket. 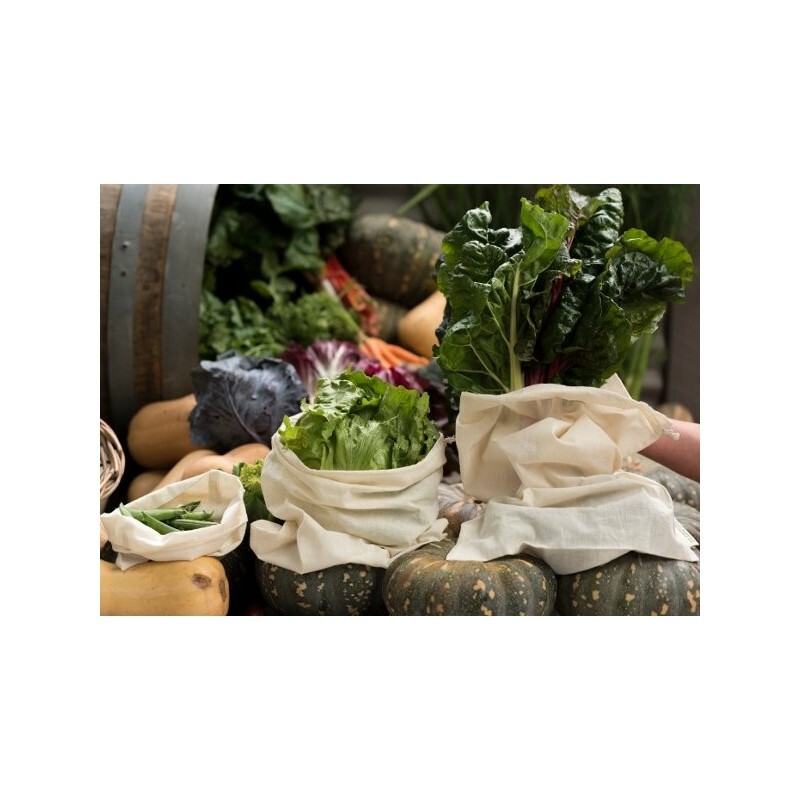 I can pack them away with my reusable bags and they save me the hassle of carrying my fruit/veggies loosely. Would 100% recommend for anyone looking to ditch plastic produce bags! Love these bags! Next time I’ll go for medium or large size.